If you are going to reinstall the Windows 8 and planning to use the product key later then you are lucky because the product key is stored on your laptop. Unfortunately it’s stored in a format that cannot be readable by humans but softwares do help to read. Windows 8 usually store the product keys in Windows Registry. I will show you how to get the Windows product key in plaintext form. Follow the guide. On your laptop’s back: There is a Windows product key sticker on the back side of your laptop. Turn your laptop and see if there is Windows product key sticker available. Your manufacturer always ships the laptop with this sticker from Microsoft. If you can’t see the sticker or it just have worn out overtime then follow the next step. 3rd Party Tools: There are a couple of softwares available on internet that checks your windows product key saved inside your laptop and show it to you, such as The Magical Jelly Bean or a more advance tool like AVG’s TuneUp Utilities but it doesn’t makes sense as you don’t need any third party tools just to check your product key because you bought the Windows, right? 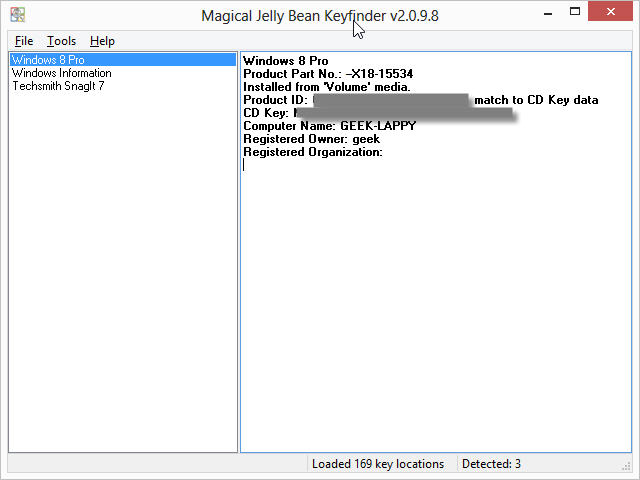 Anyways, to find the product key download the magical jelly bean software (freeware) from their website and install it. It’s a tool that retrieves the product keys from registry. Run the program and you will find some other softwares that has their own product key hidden in the Windows registry. Click on the ‘Windows 8 Pro’ or whichever version your laptop came with. On the right side you will see the product name and its respective product key. Surprisingly you’ve found the Windows product key. Just copy the key and save somewhere in notepad or write it down on a paper for later use. There is another alternative tool called ‘nirsoft’ which works similar to this one. 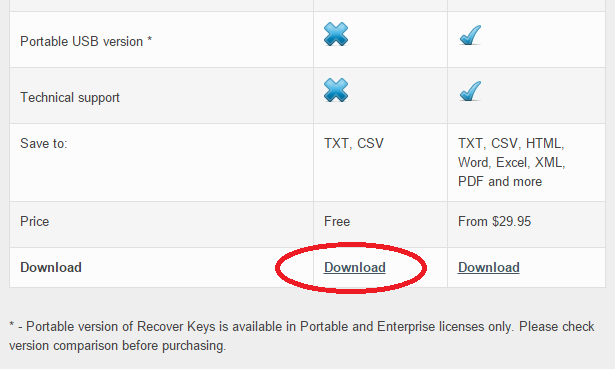 You will also find keys for other installed softwares, if you want you can note it down too. Remember to save the product key for later use. If you’ve newly bought a Windows laptop then always take the product keys from the back side of your laptop or instead click a high resolution photo and save it somewhere on your cloud storage. 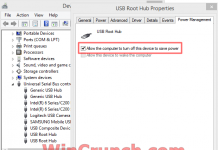 Next articleHow to disable Windows 8 password protection on startup?